A few years ago, during his travel to Cape Town, Manolis discovered the world of kite surfing. Enthusiastic and energized by pure adrenaline of flying, he returned to Athens and started kite lessons with a qualified instructor. He enjoyed kitesurfing worldwide and after several years , the summer of 2015 accomplished to found Santorini Kite School with Jim in Monolithos beach, Santorini. 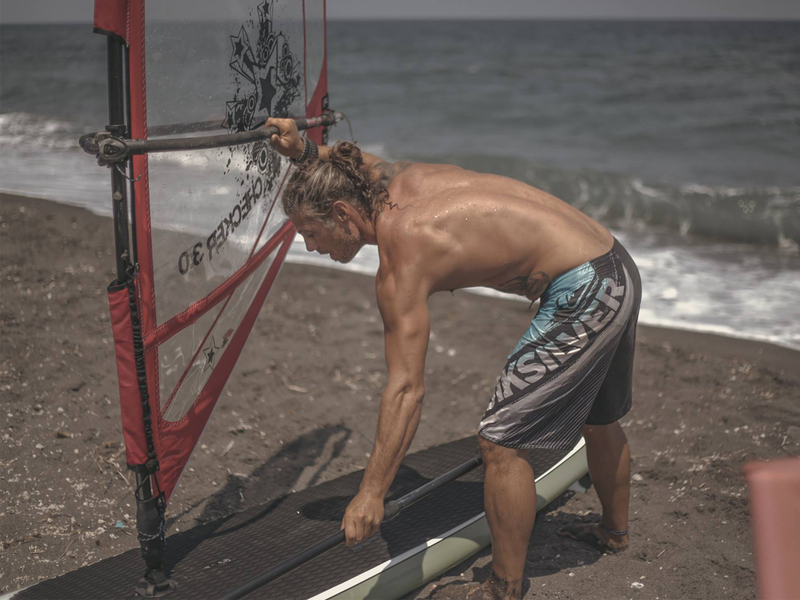 Enjoying perfect wind, spectacular sand and good company, Manolis prefers riding the waves. On your next trip to Santorini you will probably catch him on the beach.